Wecker's Flooring Center was established in 1986 and provides the full range of all flooring products and services for residential and commercial customers. As a member of Abbey Flooring's nationwide buying network, we are able to price our flooring to deliver the most value to stand on for customers. 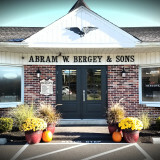 All pricing for our carpeting includes pad and installation, plus we even move your furniture! Our own pro installers will treat your home like it was their own and ensure a prompt and meticulous floor installation. Additionally our in-stock flooring warehouse features hardwood, laminate, vinyl and carpet at savings up to 60%. 12 month free financing is available. During the month of April we will be running our biggest sale of the year, our annual Gold Tag Sales Event! Throughout the month of April we will have the lowest prices of the year. Stop by our showroom and take advantage of the lowest prices of the year! Established in 1970, Martin's Floor Coverings has been making design dreams a reality in the Lebanon, Lancaster, Berks, Dauphin, and Schuylkill counties for over 45 years. Martin's Floor Coverings is a highly regarded member of the Better Business Bureau, the National Association of Home Builders, The Lebanon County Builders Association, and the Builder's Association of PA. Along with retail sales and installation of all facets of flooring, Martin's Floor Coverings also offers professional IICRC certified truck mounted steam cleaning for your carpets, upholstery, and area rugs. In addition to our carpet cleaning services, we have also added tile and grout cleaning. *Authorized Mohawk Dealer* Family Carpet- Where you are treated like family. 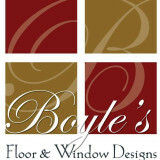 Come see our professional staff for all your flooring needs. 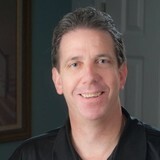 Mike is the Sales and Daily Operations Manager with 20+ Years experience. Rodney is the Installer and in charge of our Installation Department, also with 20+ Years experience. Our showroom has a large selection of flooring to select from, such as hardwood, vinyl, remnants, carpet, laminate and we also provide binding service. Carpet dealers in Pike Creek Valley, DE help homeowners choose the correct carpet covering for their floors, and also assist with carpet maintenance. This includes determining factors like material, carpet pile, durability, color and size, as well as helping with any custom carpet design. After completing the initial installation (which includes removal of the old flooring, if applicable, and surface prep), they may also handle follow-up maintenance requests such as carpet cleaning, carpet repair and carpet stretching. Carpet dealers might work closely with Delaware contractors, interior designers and others in the home building and home improvement industry. Here are some related professionals and vendors to complement the work of carpet dealers: Interior Designers & Decorators, Design-Build Firms, Specialty Contractors, General Contractors, Home Builders. Find a carpet dealer on Houzz. Narrow your search in the Professionals section of the website to carpet dealers in Pike Creek Valley, DE, and read reviews and ratings for pros in your area.